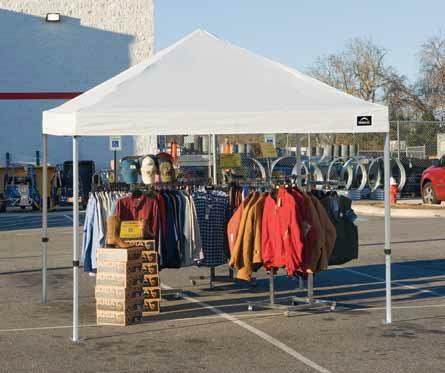 A pop up canopy is a convenient addition to any outdoor gathering. This aluminum canopy from Shelter Logic has all of the right features for any situation. The canopy is made of aluminum, making it much lighter than a conventional steel canopy while the unique structural system actually makes it stronger than a steel model. The cover is made of 500 denier, double stitched polyester and has been UV treated for protection against the Sun. 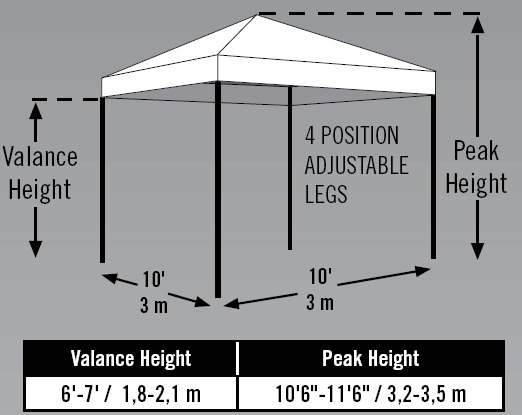 Approximate dimensions: 10' W x 10' L; Peak Height adjustsfrom 10'6" to 11'6"